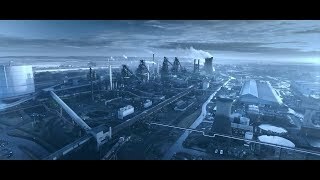 British Steel is a modern company with 150 years of rail heritage. Our steel rail products are designed to meet the 24/7 needs of the railway industry, whether it be mainline, heavy haul, tramway or metro, all supported by the expert knowledge of our technical services team. We offer over 100 different rail profiles ranging from flat bottom and grooved to asymmetric and conductor, to suit a whole variety of applications. We produce a number of premium grades, each designed with your track conditions in mind, to give you more rail life with fewer maintenance requirements. Stress-Free heat-treated rail is suited for use on heavy haul routes and in locations with high volumes of traffic. It not only has excellent resistance to wear, but because it doesn’t require straightening after hardening, it also has uniquely low residual stresses (≤50MPa) in the rail foot, meaning less chance of foot failure – a leading cause of failure in national rail networks. MHH, our micro head-hardened rails, are the most wear-resistant of our Stress-Free range, double that of R350HT, meaning they’re perfect for use in tightly curved track and heavy haul. Our non-heat-treated High Performance rail HP335 (HPrail®) offers superior protection against wear and rolling contact fatigue. Developed with Network Rail, this has become the premium rail of choice in the UK. Independent research has stated that converting your track from R260 to HP335 could result in savings of more than 60% over the life of the rail. Changing track towards switch blades and movable points, our Bainitic Low Fatigue grades provide exceptional resistance to rolling contact fatigue. Over a decade of use in high speed track across France, Switzerland and the Channel Tunnel has proven its performance and the grade is now mandated for high-speed movable points in France. Going intercity and changing to urban lines, we have around 20 different grooved rail profiles on offer for tramways across the world, both in standard and premium grades. Our Multi-Life grooved rail range is designed for tight curves and helps extend urban track life through its high resistance to wear and through its ability to be weld-restored in-track. This brings huge advantages to tramway passengers and road users alike, avoiding disruptive city centre rail replacements. We also produce a variety of special rail profiles for metro applications – check rails, piste rails and electrical conductor rails all form part of this portfolio, in addition to specific rail profiles, made to customer order. Noise nuisance in urban areas has resulted in noise legislation being introduced. Our noise-reduction rail system SilentTrack® was created as a response to this and has been helping urban networks achieve train pass-by noise reduction of up to 3-6dB(A) for over a decade. It’s retro-fittable and visually unobtrusive too, so is a great, cost-effective alternative to acoustic barriers. Rail corrosion occurs in locations where water and salt collide such as level crossings, tunnels and coastal regions, and is a scourge to rail operators due to its ability to eat away the foot of the rail without being detected. 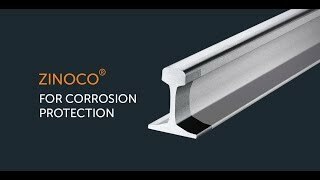 Zinoco® is the most durable solution available for rail corrosion protection due to its dual lines of defence: excellent resistance to impact and abrasions, and sacrificial protection, which means it still works even if the coating is damaged. Rail corrosion affects the head too – track circuit signalling needs reliable electrical contact between the wheel and rail. In low traffic areas rail head corrosion can interfere with this interface – Sogenox® solves this by providing a stainless steel crown on the rail to deliver assured electrical contact without compromise.